AR artwork, ambulance drones, VR cocktails, AI that predicts your emotions, and mixed reality Mario Kart. Check it out below. Anyone can be an artist thanks to SketchAR, defibrillator carrying drones are saving people’s lives, a restaurant is offering a cocktail VR experience, artificial intelligence can estimate how we react to movies, and Hado Kart is the answer to everyone’s Mario Kart dreams. Weekly Wins, let’s a go! 2. Drones, To The Rescue! Drones have been used for fun to deliver tasty treats like donuts and hotdogs, but what about the potential of drones for emergency situations? Scientists from the Moscow Technology Institute in Russia are taking on this exact opportunity by placing a defibrillator onto a drone. The scientists designed the drone to be remote piloted to a person in need of resuscitation. In the case of cardiac arrest, every second counts. Drones can avoid traffic to get there quickly and can also access rural, off-road places that are hard to reach for an ambulance. The drone can also deliver medicines and other materials and is outfitted with cameras and a speakerphone for medical assistance from medics off site. The next step for the drone “air ambulance” is to integrate it into existing emergency response systems to help more people and save lives. Baptiste & Bottle, a Chicago-based restaurant known for their ambitious menu items, has introduced a new cocktail called The Macallan Rare Journey which is much more than just a fancy mixed drink. Rather than just a drink, the cocktail is a $95 experience where guests are taken on a virtual visual journey to compliment the tastes and smells they’re experiencing in real life. Experiential dining has been incorporating the senses for a while now, but using VR to create unique dining experiences is something that is still quite new. Companies have been measuring and tracking emotional responses to movies (such as Dolby Laboratories) but Disney Research has taken it to the next step. 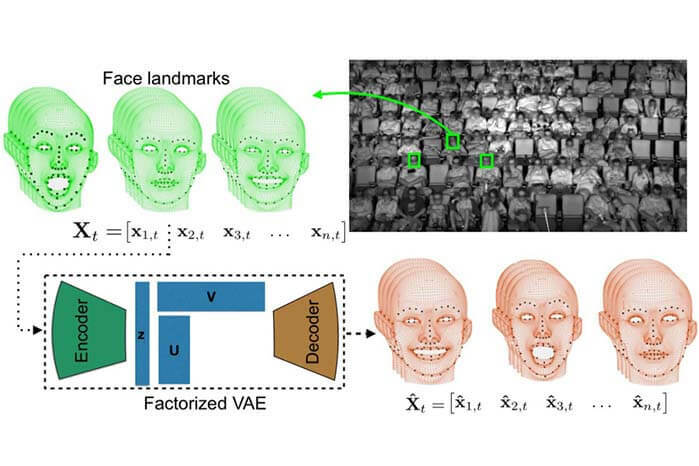 In collaboration with Caltech and Simon Fraser University, Disney is using a facial expression tracking neural network to watch and, most impressively, predict how audiences will react to movies. 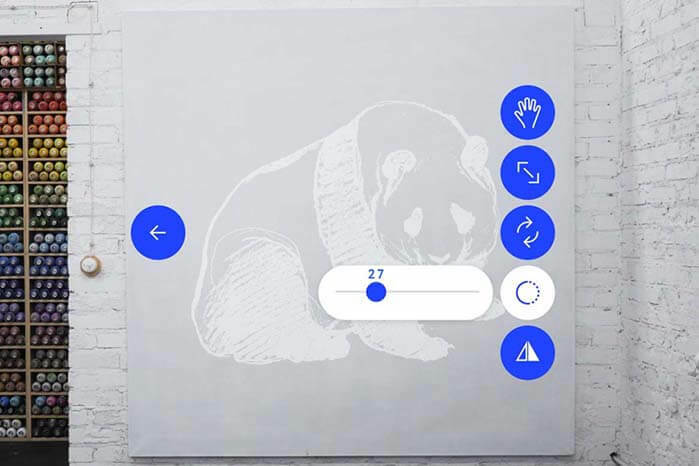 The facial recognition software is paired with an artificial intelligence that watches audiences watch movies to collect large sets of face data. After watching multiple sets of audience’s emotions, facial movements, and facial expressions to train, the AI is able to watch audiences and, in real time, predict laughs and smiles before they happened. One of the engineers, Yisong Yue, shared, “Understanding human behaviour is fundamental to developing AI systems that exhibit greater behavioural and social intelligence.” This project helps researchers develop their AI and helps filmmakers create movies that evoke specific emotional responses from audiences. 5. 3… 2… 1… Hado Kart! There have been plenty of renditions of Mario Kart in real life, but using mixed reality has made it much more real. 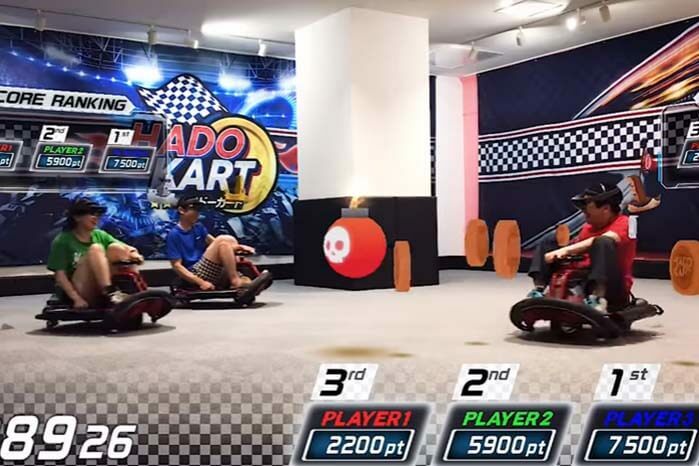 Hado Kart, from the Japanese company Meleap, is using virtual reality and augmented reality to give players a truly immersive experience. Players wear a Microsoft HoloLens headset and sit in a mini electric go-kart while racing around an arena to collect coins. Although only available in Japan, there’s always hope that it will one day come to an arcade here in North America.